Not even sure where to start with this topic because it can be a sensitive one. However, remember this blog is my way to share information and my opinion (whether you agree with it or not is really not a debate for me- everyone has opinions). With that intro… I believe is a difference between bright and gifted students. Not all gifted students are high achieving and not all high achieving students are gifted. Some of my best students in my classroom were not gifted but bright (and this is not a bad thing). I don’t believe one is better than the other- just different. 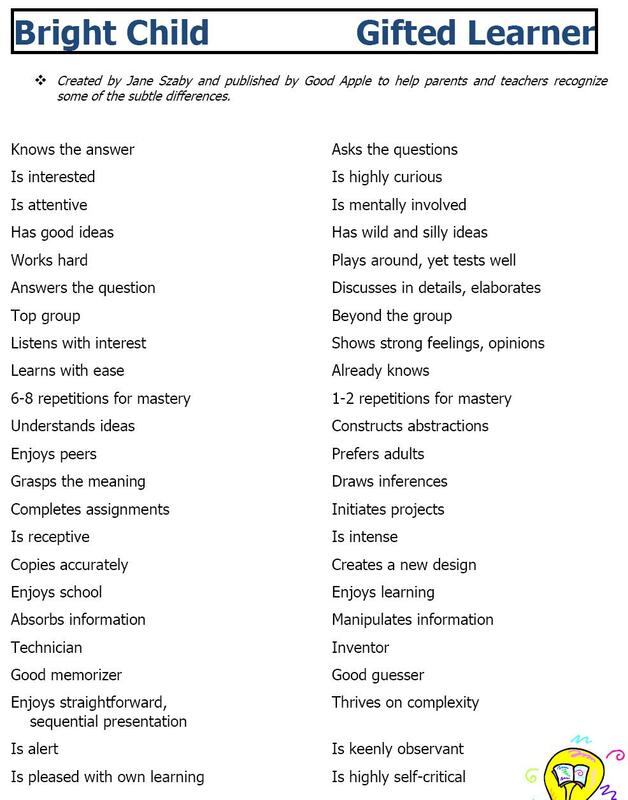 I have seen several charts to help demonstrate this difference and here is one (from: http://lucyyang.blogspot.com/2009/10/bright-vs-gifted.html).